Get ready to turn your house into a candy store as hundreds of children are about to infiltrate your neighborhood. But the kids aren’t the only ones wanting to have a little fun on Halloween; the adults do too. Halloween isn’t just chalked full of candy, bobbing for apples or dressing up, it can also involve alcohol. Unfortunately, the use of alcohol can take over many Halloween parties and become a frightening issue. The general rules to avoid a scary situation and adding to these statistics is to never drink and drive, eliminate distractions and don’t text and drive. This is a great way to avoid car accidents. However, there is much more to this topic because so many children are involved on this holiday. 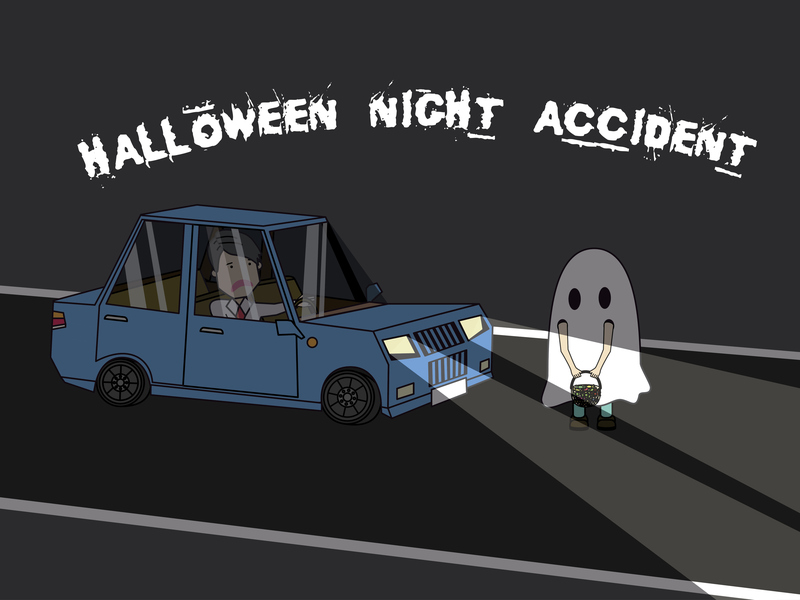 Here are tips for drivers and pedestrians so everyone can enjoy a safe and happy Halloween. Be visible at all times. Don’t rely on thinking that a driver can always see you. Wear brightly colored clothing and carry a flashlight after dark. Stay on designated sidewalks and crosswalks. If there are no sidewalks available, walk facing oncoming traffic and stay off the road as far as possible. Never consume alcohol before walking around, especially when you are responsible for children. It is imperative that both pedestrians and drivers act responsibly. We understand that everyone wants to have a bit of their own fun on Halloween, but we ask you do it with safety in mind. From our family to yours, we wish you a happy, safe and candy filled Halloween!